Our production range includes clutch parts for almost all leading European brands of utility vehicles and buses. We hold comprehensive stock and can deliver immediately at any time. Our extensive years of experience in clutch technology enable us to offer clients support in identifying the components they require. We will, of course, point out any necessary modifications stipulated by the vehicle manufacturer when offering advice. 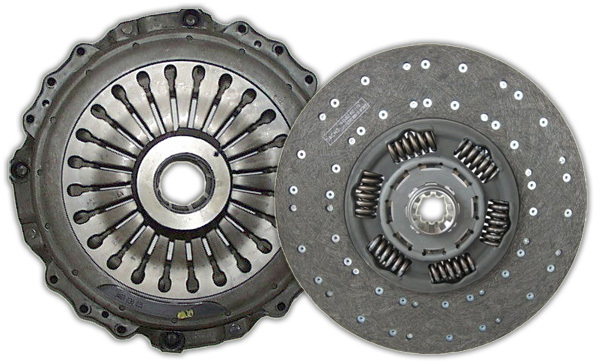 Should problems occur with your old clutch, we will offer solutions and proposals to correct these problems. Our in-house production facilities permit us to offer you speedy and price-efficient solutions. Test our competence! We guarantee uncomplicated and reliable responses to your enquiries and speedy fulfilment of orders.